It seems that every year Christmas just creeps up on us and all a sudden it is December. With the end of the year quickly approaching, many Australian workers feel the pressure to meet deadlines and complete projects before the holiday break. WorkSafe Victoria have released a statement to remind those under the pump to not cut safety corners in an effort to work faster. According to the Victorian workplace safety watchdog, November and December have been the highest months for workplace fatalities. In fact, 25% of all workplace fatalities occur in the last two months of the year, a trend since 2006. 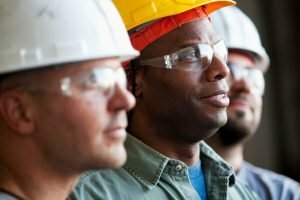 “The safest workplace is the one where employers and workers stop and take the time to think about the work they will be doing, and plan to do it as safely as possible. Put on extra resources – Hiring a few extra hands to assist with completing a project will be worth the additional expense if it ensures everyone goes home to their families. It is important to plan ahead and organise added resources before your current staff become tired and overworked. Identify risks and dangers – Every workplace is different and has associated dangers. By taking the time to point out the risks to staff you are making them aware. Uphold safety measures - Train and implement preventative safety procedures that are in line with your industry and state’s safety laws. Remind staff of the correct procedures with signage, verbal communication at team meetings and leading by example. Who will call emergency services? Does everyone know where the first aid kit is? Who is trained in first aid? Is there a clear path for emergency services at all times? By ensuring safety is a priority in your workplace during the busy months as well as the rest of the year will create a culture of safety. No deadline, no project and no assignment is more important than putting someone in danger while at work. Written by Shine Lawyers on December 8, 2016. Last modified: September 6, 2018.